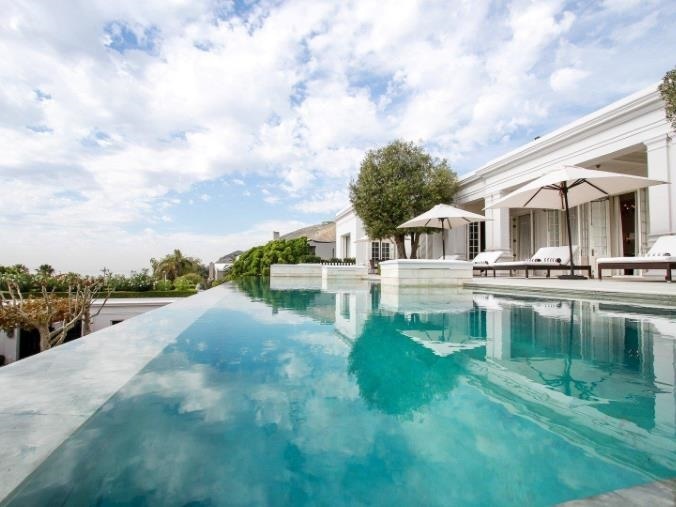 This beautiful mansion nestled in the slopes of Lion’s Head offers a fantastic view of the ocean from inside a beautifully built home that will leave you in awe. Set on a gigantic plot of over 3200 m² this space has a lot to offer. A luxurious formal lounge opens onto a gorgeous terrace with an infinity pool and beautifully landscaped garden fit for royalty. Classically styled with a black and white contrasting theme, there are seven en-suite bedrooms, five in the main house and two in the guest cottage. The main bedroom also leads onto a veranda and is extremely spacious with an open plan lounge (which comes with a fireplace), walk-in wardrobe and free-standing bathtub and shower. It leads to a grand study that also has a fireplace and opens up onto the swimming pool terrace. The kitchen is fully fitted with the best equipment and a large scullery and walk in fridge. The kitchen leads into an informal dining room which opens onto a patio that has a built-in braai. 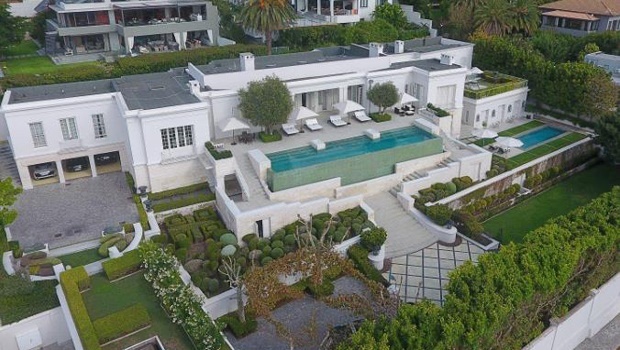 Plus, there are not just one, but two swimming pools, a separate cottage for guests, a gym, domestic quarters, three garages and additional parking for 7 of your closest friends.